CHARLOTTE—The pre-registration deadline for the North Carolina Writers' Network 2018 Fall Conference has been extended until 11:59 pm on Sunday, October 28. If you haven't yet registered, you can do so online at www.ncwriters.org. While the NCWN 2018 Fall Conference, which runs November 2-4 at the Hilton Charlotte University Place, offers a terrific lineup of faculty and programming, the weekend is made possible through the generosity of its sponsors. The Arts and Science Council of Charlotte serves as the designated “Office of Cultural Resources” for the City of Charlotte, Mecklenburg County, and six suburban towns by providing advocacy, cultural education programs, cultural planning, fundraising, grant making, public art and workshops, and trainings for the cultural community. They work to ensure Culture For All by combining resources from local and state government with those of the private sector to maximize community impact throughout the cultural sector. Follow ASC on Facebook, Instagram, Twitter, and visit them on the web. The Arts and Science Council is the official sponsor of Saturday morning's Brilliant at Breakfast Panel Discussion, "Does Place Still Matter? ", with Julie Funderburk, Patrice Gopo, Dannye Romine Powell, and Kim Wright. The nonprofit Charlotte Center for the Literary Arts (Charlotte Lit) is the greater Charlotte community’s center for engaging with and studying the literary arts. They provide a physical space—the Plaza Midwood studio—where people gather, teach, learn, and create. And they are a virtual community hub where people discover local literary events and connect with literature and each other. They offer ongoing classes in the craft and business of writing; a reading series; and other events and programming, many in collaboration with local groups. This fall, their 4X4CLT series continues when they release four different posters featuring four poems and four works of art. A reading and celebration will be held with featured poets and artists. After each event, the posters are displayed in public places throughout the city—coffee shops, waiting rooms, libraries, storefronts. Charlotte Lit is the sponsor of the Business of Writing Track at Fall Conference, which includes sessions such as "The Perfect Pitch" with Kim Boykin, Erika Marks, and Kim Wright; "The Passion Project: Writing and Selling a Book that Matters" with Kathy Izard; "Technology Toolkit: Software and Tech Stuff for Writers" with Charlotte Lit co-founder Paul Reali; as well as the Critique Service and Manuscript Mart programs. The Davidson College English Department annually sponsors and co-sponsors significant contemporary writers and scholars, often winners of Pulitzer Prizes, MacArthur "genius grants," National Book Awards, and various other honors. All writers brought to campus work with students personally; all public presentations are free. To check on upcoming events, visit https://www.davidson.edu/the-arts/literary-arts. The Davidson College English Department is the official sponsor of the Faculty Readings on Saturday night. Get Freedom and focus on what really matters most to you: writing. Freedom is used by over 750,000 people worldwide to control digital distractions like social media, email, videos, online shopping, chat, games…Schedule a Freedom session and block the websites and apps that you find most distracting. Freedom syncs across all your computers, phones, and tablets. Freedom users report gaining 2.5 hours—every day! Freedom is sponsoring the session "Shut Up and Write," led by NCWN trustee Michele T. Berger. This session will ask registrants to do exactly that: Shut up, and write. Think of it as study hall, except you’re writing instead of reading (or passing notes—none of that, now). Registrants for this option will get ninety minutes of glorious, uninterrupted silence in which to dream, plan, create, or edit. 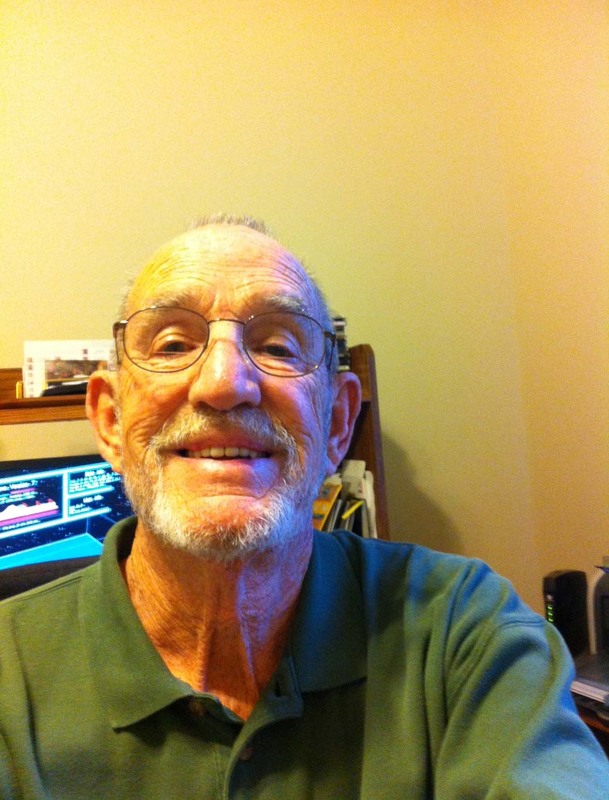 Al Manning, aka The Resident Curmudgeon, is the NCWN regional rep for Chatham and Lee Counties. One exhibitor table at Fall Conference will be devoted to our regional groups. The North Carolina Writers’ Network hosts monthly, free literary events through our regional and county representatives in fifty-one counties in North Carolina plus one each in Georgia and South Carolina. Come to the table to find information about ongoing events in an county near you! Al is once again sponsoring the Open Mics on Saturday night. Sign-up for the Open Mics at the registration table, first-come, first-served. The North Carolina Arts Council has nominated a new poet laureate for North Carolina, Jaki Shelton Green, who will be among the panelists at Fall Conference following the staging of Ian Finley’s new play, Native. The NCAC has also been instrumental in connecting individuals and organizations in need of disaster relief in the wake of Hurricane Florence with the appropriate resources. Over the years, the NCAC has been at the forefront of bringing arts tourism to North Carolina, publishing several guidebooks to heritage trails and designating the Blue Ridge National Heritage Area. The NCAC also offers fellowships to artists and organizations each year. The deadline for the next Artist Fellowship grant is November 1. Follow them on Facebook, Twitter, and learn much more on their website. The NCAC provides general programming support to the North Carolina Writers' Network and the NCWN 2018 Fall Conference. The North Carolina Humanities Council is a statewide nonprofit and affiliate of the National Endowment for the Humanities dedicated to exploring and celebrating our state’s heritage, history and people. Through its programs, partnerships and scholarships, the Council preserves and shares the stories that bring North Carolina’s culture to life and enrich the lives of residents across the state. The NC Humanities Council offers the annual Linda Flowers Award which celebrates excellence in the humanities by those who not only identify with our state, but who explore the promises, the problems, the experiences, the meanings, in lives that have been shaped by North Carolina and its many cultures. At Saturday's Luncheon, the NC Humanities Council will feature the winner of the 2018 Linda Flowers Award. 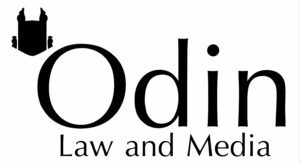 Odia Law & Media is the official sponsor of the Happy Hour on Saturday evening. In the past twelve years, Alice Osborn: Editor/Book Coach/Author, has taught writing workshops to thousands of aspiring fiction, poetry, and memoir authors of nearly all ages from nine to ninety, both around the corner and across continents. She now combines her twin loves of books and history by serving as a “Let’s Talk About It” scholar with the NC Humanities Council which takes her all across North Carolina. Heroes without Capes is her most recent collection of poetry and Old Derelicts is her most recent CD featuring crowd-pleasing favorite originals. Previous poetry collections are After the Steaming Stops and Unfinished Projects. A former editor for Wake Living magazine, Alice is also the editor of the anthologies Tattoos and Creatures of Habitat, both from Main Street Rag. A NC Writers’ Network, NC Poetry Society, and NC Songwriters Co-op board member and a Pushcart Prize nominee, her work has appeared in the News and Observer, The Broad River Review, The Pedestal Magazine, Soundings Review and in numerous journals and anthologies. Alice is the artist-in-residence for the Western Wake Farmers’ Market, a senior docent at the NC Museum of History, and she also plays Celtic fiddle and bluegrass banjo. She lives in Raleigh, North Carolina, with her husband, two children, and four birds. Check out her music at  www.reverbnation.com/aliceosborn. Alice is sponsoring the Welcome Reception on Friday night, prior to the Keynote Address by 2018 NC Literary Hall of Fame inductee Randall Kenan. The University of North Carolina at Charlotte Department of English graduate program offers an M.A. in English, a cerificate in Technical/Professional Writing, and a certificate in Applied Linguistics, as well as an English strand of the Ph.D. in Curriculum and Instruction. There are a variety of specialized concentrations for students pursuing the M.A. in English. Students can also benefit by pursuing a certificate while focusing on another concentration for the M.A. UNC-Charlotte’s graduate program in English has developed a very strong profile not only within the university but with programs and corporations across the United States. Our students graduate to pursue successful careers in commerce and education, or to move forward into the very best doctoral programs nationwide. Graduates of the UNC Charlotte masters programs have chosen to teach in public schools and/or community colleges or to work in corporate and non-profits as professional writers. Other graduates have gone on to Ph.D. studies. The University of North Carolina at Charlotte Department of English will host the Pre-Conference Tailgate on Friday at 12:00 pm at the Fretwell Building on UNCC's campus. "The Alchemy of Paying Attention" will be led by Bryn Chancellor. We live in a world of distractions that keep us from granting our attention in meaningful ways. For writers, paying attention—to the world, to our imaginations and memories, and to our work—is essential. To be observant as a writer demands engagement; we must slow down and open ourselves up—not just to see/witness but to listen, smell, touch, and taste. We must activate and fine-tune our senses, which takes constant refinement, especially when we’re busy with other demands. In this session, we’ll practice transforming our observations and memories into language that can be rich material for our stories or poems—maybe even gold. Check www.ncwriters.org next week for more information about the Pre-Conference Tailgate. Online pre-registration for the NCWN 2018 Fall Conference ends on Sunday, October 28. Register now: www.ncwriters.org.